The Tucano Urbano Termoscud EVO is the latest generation of leg covers for large scooters. 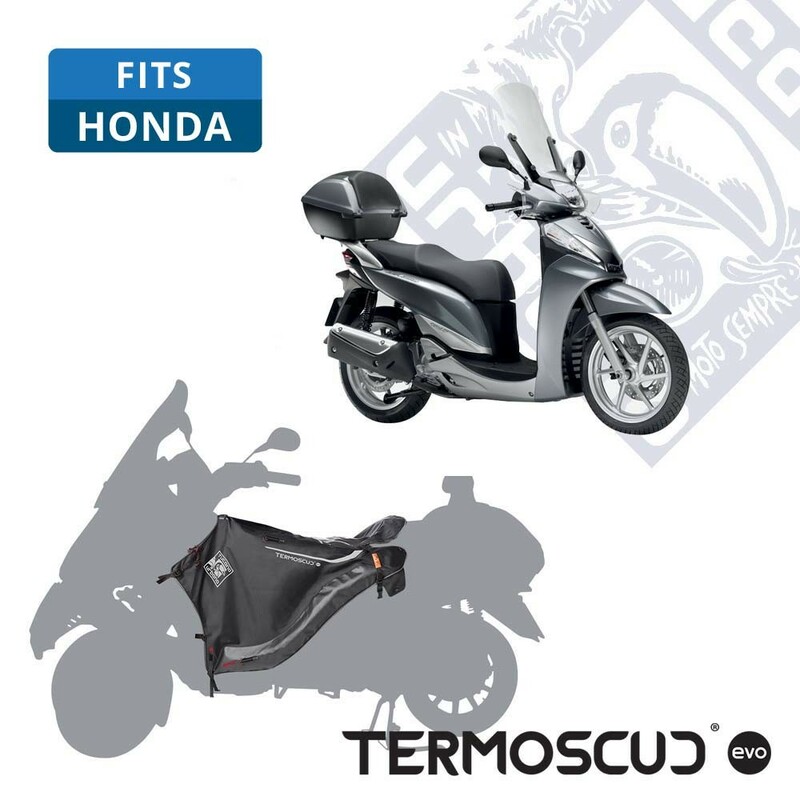 The Termoscud EVO has many improvements including a new SGAS 2.0 anti-flap system which uses a new material and valves to maintain pressure over long trips. 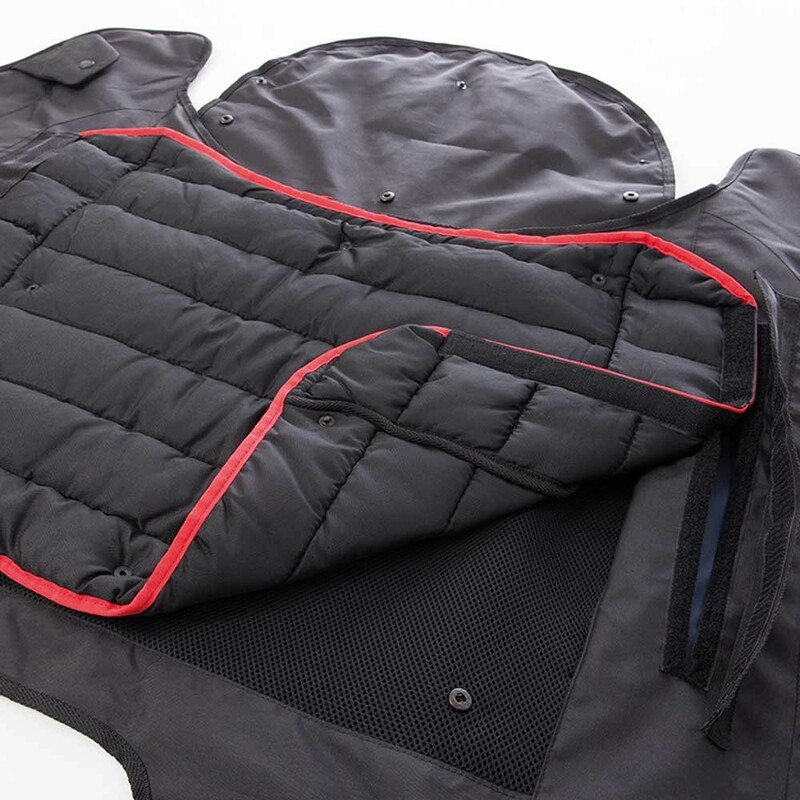 There is also an integrated, removable heavy quilt for winter and a new quick safety release for the lower straps in case you need to get your feet out quickly. Three seperate layers guarantee you will remain dry and warm. 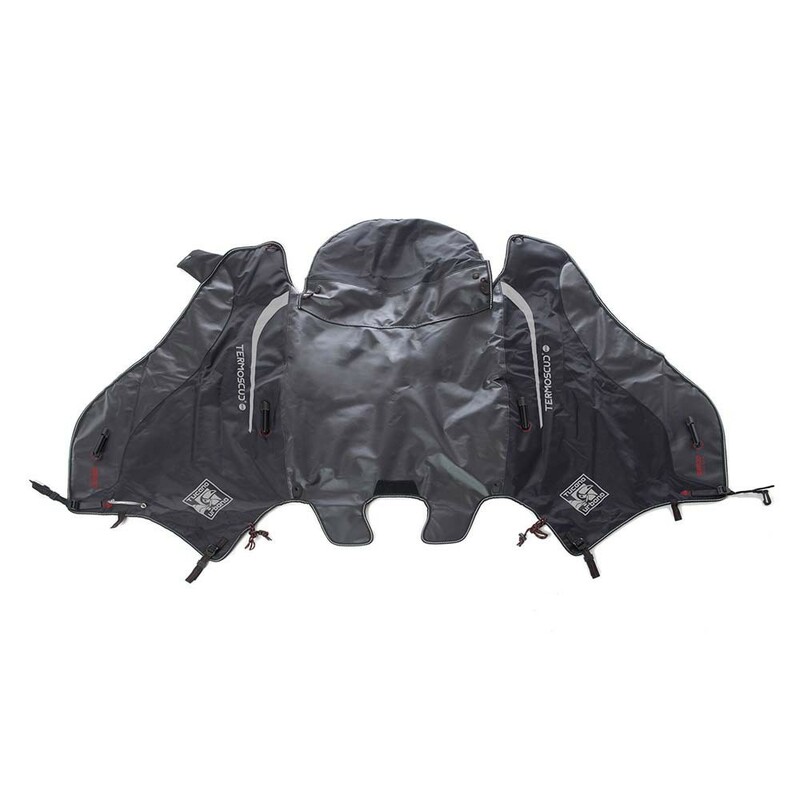 The exterior is made from Tarpaulin and heavy Polyamide with taped seams for added waterproofing whilst the inner membrane is 100% waterproof. As with all Termoscuds you get an antitheft ring, large storage pocket, seat cover and reflective edging and details. Termoscud leg covers can be fitted without a mechanic or specialist (see PDF). Large storage pocket for gloves etc.